Checkpoint Financial Management and Controllership brings together the expert analysis and practical guidance today’s financial managers and controllers need to succeed in all aspects of their roles. It is a powerful resource that addresses all aspects of financial management and controllership, including accounting and financial reporting, budgeting and forecasting, cost and cash management, business combinations, and internal controls and risk management. Sample statements, budgets, disclosures, organizational charts, and other illustrative material are included throughout. A repository of practice aids in the form of sample policies and procedures covers more than 80 topics and includes hundreds of customizable checklists, worksheets, forms, agreements, and schedules. Sections addressing human resources and controllership for smaller companies provide numerous diagnostic checklists and sample documents, including tools designed to help controllers efficiently complete tasks outside the traditional accounting functions. Sections on internal controls and risk management and control points and risk assessments provide in-depth guidance and tools, including checklists, detailed questions, and forms for assessing an organization’s control environment and identifying its essential control points. 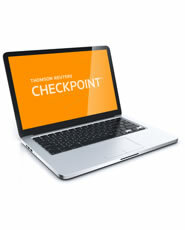 Links provide easy access to relevant accounting and auditing standards and applicable rules and regulations, all available on Checkpoint. A ‘go-to’ source for quick guidance on a wide range of operational and financial topics. Training reference for less experienced staff, a first place to go for answers. Time saving practice aids including templates, sample policies, and checklists. The focus throughout is on practical guidance for the day-to-day operations of financial management and controllership.